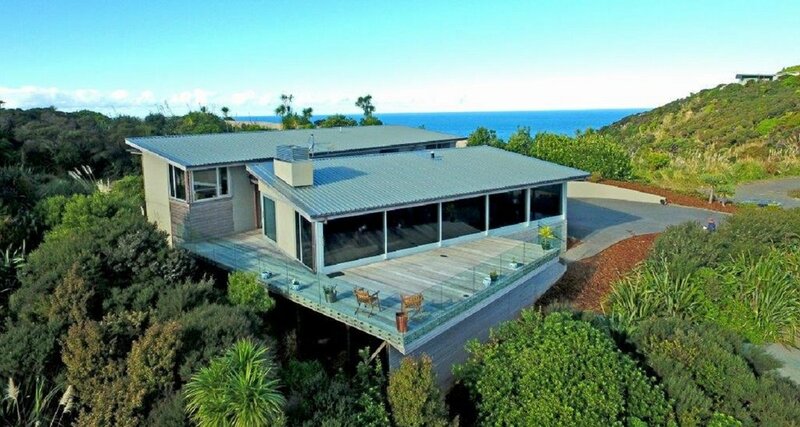 Imagine enjoying the scenic drive home everyday through native bush to arrive at this spectacular home nestled among the tranquil bush clad hills in its own special piece of paradise. Imagine walking into this beautiful open plan living and dining area flanked by the superb designer kitchen, - a space built with entertaining in mind, for both family and friends! The stunning kitchen even has an extra butler’s pantry and is a dream for anyone who loves to cook! 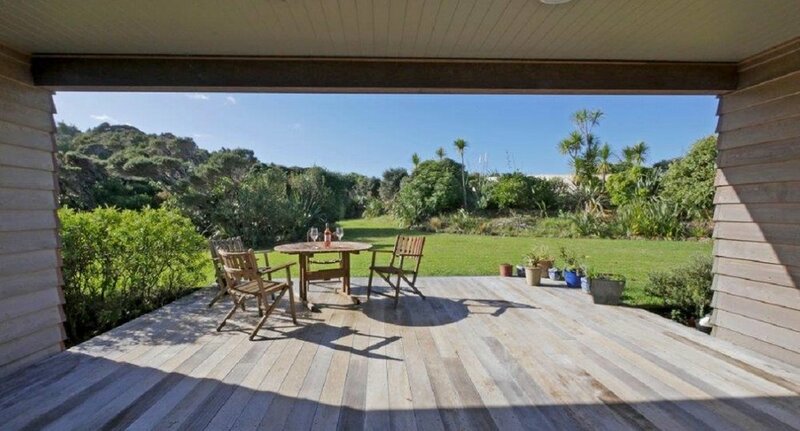 Imagine on a beautiful summer’s day pulling back the substantial sliding doors to walk out onto the spacious timber deck, - perfect for entertaining, relaxing, and appreciating the spectacular coastal views. 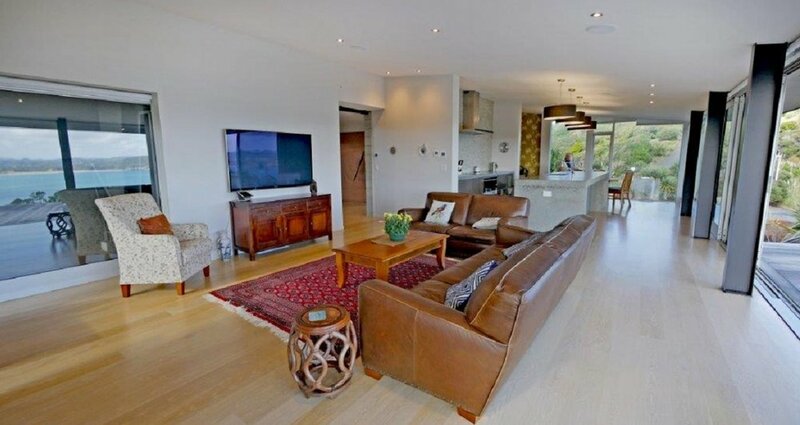 On a winter’s day turn on the striking gas fire, cosy up, and enjoy the ever-changing panorama in front of you. Imagine walking into your master bedroom to be met by yet more beautiful views out to the coast, and on entering your ensuite to being able to choose between a luxurious soak in your freestanding bath or an invigorating double shower. 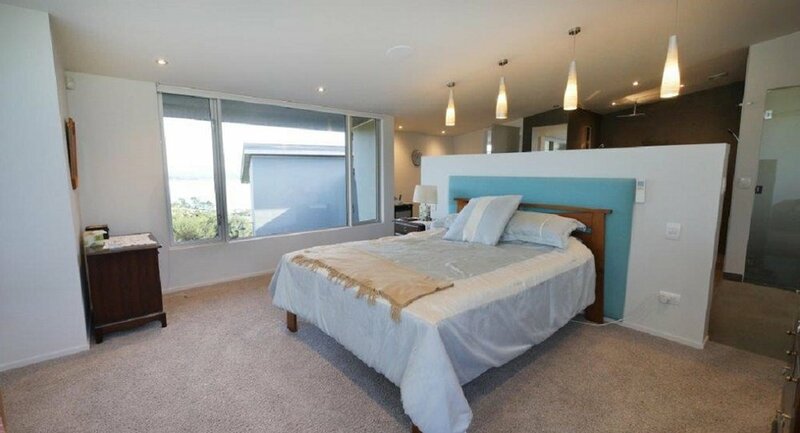 This lovely master bedroom also has a large walk-in wardrobe with plenty of room for him and her. 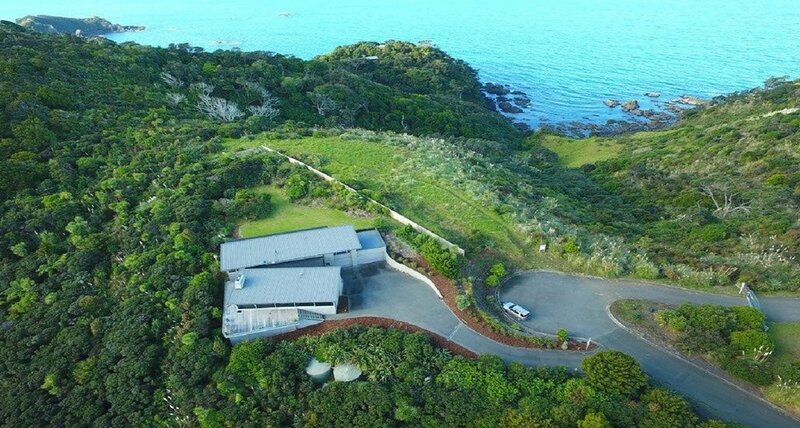 There are two more roomy bedrooms in this lovely home one with stunning oceans views and one sunny bush clad view, both have their own impressive bathrooms. This stunning home also has a separate living/TV room opening on to its own private deck, a perfect haven to enjoy that morning cup of coffee in the sun, and if you like a glass of wine in the evenings there is even a wine cellar! 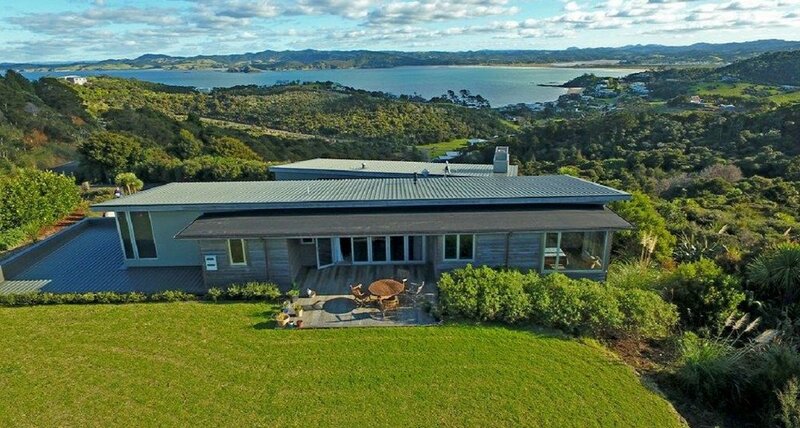 Double garaging with internal access, and a large separate laundry completes this stunning home, all set on approximately 2.3 acres of bush clad land, - and if you are a boatie this property is only 5-minutes away from Tutukaka marina! 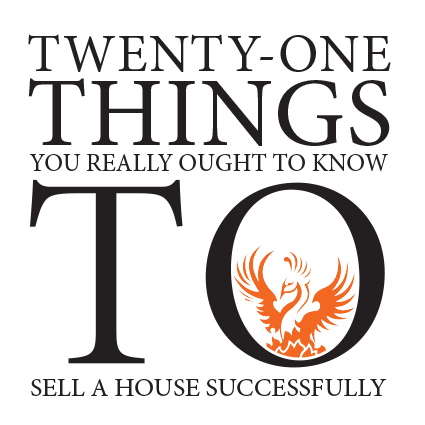 If you are looking for a truly stunning property, this is it! Please view the video..